Great Exhibition of the North 2018 engages millions — Get North! After 80 days of Northern culture, innovative technology, live performances and unforgettable experiences, Great Exhibition of the North comes to an end on Sunday 9 September having engaged millions of people across NewcastleGateshead, the wider North and beyond. As Great Exhibition of the North draws to a close with the Great North Run weekend, organisers of the biggest event in England this year have collated initial findings to celebrate the overwhelming success of the 80-day Exhibition. Described as the number one place in the world to visit in 2018 by Rough Guides, NewcastleGateshead welcomed more than four million visitors over the summer. Visitor surveys conducted during this period showed that 32% cited the Exhibition as the primary reason for their visit, and 75% engaged with the Exhibition’s content whilst they were there. Almost half (45%) of visitors to NewcastleGateshead were from the wider North and hotel bookings in NewcastleGateshead reached record levels over the summer with more than 363,000 hotel rooms occupied during Great Exhibition of the North. Many of the Great Exhibition venues saw record footfall, with the four key venues (Great North Museum, BALTIC Centre for Contemporary Art, Sage Gateshead and Discovery Museum) welcoming significantly more visitors (an average of +55%) over the summer period (vs summer 2017). Among one of the biggest draws was Robert Stephenson’s Rocket, one of Britain’s most famous feats of engineering – a 4 tonne iconic steam locomotive – with hundreds of thousands of people visiting the Discovery Museum to see it for themselves. As well as attracting visitors to the 80-day programme of activity in NewcastleGateshead, Great Exhibition of the North also reached millions of people through digital and media platforms. Great Exhibition of the North social media and digital content had a reach of over 19.7 million. There were over 2,200 items of print, online and broadcast media coverage about Great Exhibition of the North and BBC editorial content alone was seen and heard by an audience of more than 15 million right across the UK. Over 10,000 contributors have been involved in Great Exhibition of the North, including artists, scientists and inventors producing content across 30 core venues and a further 83 locations in NewcastleGateshead. The free events, performances, installations and activities staged over the entirety of the Exhibition were sourced from every county in the North of England. Standing tall in the heart of Newcastle, The Worker’s Maypole had a passing footfall of over three million visitors this summer. Created by Zoe Walker and Neil Bromwich, the colourful and celebratory transformation of Grey’s Monument paid tribute to and affirmed the North East’s achievements and feats for equality. The River Tyne was transformed through artworks such as the Get North water sculpture, which performed more than 1,000 times during the 80 days; and Aeons: a Sound Journey for Newcastle, where over 6,500 miles were walked by visitors experiencing the atmospheric musical journal which responded to their surroundings along the banks of the River Tyne. To help bring the Exhibition to life with passion, Great Exhibition of the North provided a range of volunteering opportunities for individuals, groups and businesses. Alongside individuals with previous public event experience, the Exhibition team offered opportunities to young people and those seeking employment or who were looking to build their experience and skill-set. A total of 1,175 people registered to volunteer, aged between 16 and 78. The volunteer team have contributed over 20,836 hours of support so far, carrying out duties such as welcoming visitors, leading school groups and providing event support. Children and young people had the opportunity to take part in the Exhibition through activities such as the Little Inventors 2030 Challenge which received over 2,000 submissions of ingenious inventions by children from 40 cities across the North. A total of 16 of the designs were brought to life by makers from Sunderland, Blackburn, Sheffield, Manchester, Liverpool, Grimsby, Cumbria, Northumberland and Newcastle upon Tyne. As part of the Exhibition’s programme, the Get North Family Expo (4-9 August) was enjoyed by over 19,500 children and their families at St. James’ Park. The mixture of events and workshops were dedicated to capturing the imaginations of children, inspiring future generations and developing new skills. In addition, the Get North Schools Programme, which welcomed a total of 21,000 school children to the Exhibition, encouraged schools to book free, tailored visits and download informative and educational teaching resources which explored ideas and inventions celebrated in Great Exhibition of the North. Designed to intrigue, inspire and excite those of all ages and from all backgrounds, the Great Exhibition of the North programme had something for the whole family to enjoy, with 87% of visitors agreeing that the Exhibition appealed to all family members. Great Exhibition of the North has also engaged with hundreds of businesses throughout the 80 days. Events such as the Northern Powerhouse Business Summit (4-6 July); the Emerging Tech series of events; and the Great Exhibition of the North: Building a Legacy for North East Businesses (5 September), collectively attracted more than 1,000 business delegate attendees. In addition, corporate partnership opportunities and the innovative GX Project has and will continue to provide businesses with a platform to learn, network and share their innovation capabilities. A number of high profile visits have contributed to raising awareness of the Exhibition, shining a spotlight on the region. These have included a visit from the Governor of the Bank of England, Mark Carney (5 July); a meeting of the full Cabinet with Theresa May (23 July); and a visit and reception with HRH Duke of Cambridge (7 September). “I’m delighted that Newcastle and Gateshead have been able to give a very warm welcome to so many visitors who have enjoyed the exciting events and attractions as part of the Great Exhibition of the North this summer. The residents of NewcastleGateshead were great ambassadors for the Exhibition with 90% saying they were proud to be the hosts. Towns and cities across the North of England got behind the Exhibition and applied to be part of the ‘Inspired By’ programme of events, experiences and performances celebrating Northern art and culture, design and innovation. A total of 537 Inspired By events took place in 127 different locations right across the North – including 54 villages, 28 towns and 15 different cities. The Inspired By programme of activity included events such as, The Bradford Bubble Up, a city-wide water-themed event to celebrate the currents of water and creativity running through Bradford; public art installations located in the Tees Valley landscape; 56 days of family-friendly arts, culture, heritage and adventure across Northumberland venues with Great Northumberland; and The Northern Powerhouse Brew Series, a collaboration of eight limited edition beers which celebrate the North. To mark the closing weekend of Great Exhibition of the North there will be a special performance called ‘Great North Star’ to celebrate and honour the women of the North of England, taking inspiration from the centenary year of the first women in Britain getting the right to vote.  The emotionally compelling outdoor performance will celebrate the spirit of the North of England, as exemplified by the world’s largest half marathon on 9 September, the Great North Run. Viewers can watch the 50-minute Great North Star performance as it happens on BBC online from 21:00 on Friday 7 September. Alternatively, the 30-minute programme will air on BBC One on Saturday 8 September from 15:15 – 15:45, following the Great North CityGames coverage. A detailed evaluation including details on economic impact will follow at a later date. Initial visitor surveys were carried out by a MRSA accredited fieldwork agency with a sample size that exceeds industry recommendations. In October 2016, NewcastleGateshead was selected to host Great Exhibition of the North; NewcastleGateshead Initiative (NGI) led the bid and is the lead delivery partner for the Exhibition, working closely with colleagues at Tyne & Wear Archives & Museums, BALTIC Centre for Contemporary Art, Sage Gateshead, Newcastle City Council, Gateshead Council, The Great Run Company, the Department for Digital, Culture, Media and Sport (DCMS) and a board chaired by Sir Gary Verity. City Delivery Partners including Newcastle University, Northumbria University, Gateshead College and Newcastle United Football Club provided vital support for Great Exhibition of the North. Towns and cities across the North of England got involved by being part of the ‘Inspired by’ programme of events, experiences and performances. Great Exhibition of the North encouraged schools to get involved, with content available on the website to both download teaching resources and upload their responses. Schools could do follow up work developed in the classroom by booking a tailored visit to the Exhibition during the final four weeks of the summer term. Great Exhibition of the North provided a range of exciting volunteer opportunities for individuals, groups and businesses. A team of over 1,000 volunteers welcomed visitors to NewcastleGateshead, interpreted themes of exhibition, led school groups and provided event support at special one-off occasions. On Tuesday 27 February the BBC announced a partnership to support Great Exhibition of the North. The BBC joined in the Great Exhibition of the North’s celebration of Northern talent, innovation and creativity. Over the last 12 weeks, BBC Breakfast, BBC Radio 4, BBC Arts, BBC 6 Music, BBC Children’s and BBC Sport have been welcomed to the North East. Shaun Keaveny presented a documentary on BBC Two about the Exhibition, Jill Halfpenny narrated a special programme for BBC One in the North East and Cumbria, a series on BBC Radio 4 celebrated the power of northern music, film, design and visual arts and the Today Programme, BBC Breakfast and Lauren Laverne for BBC 6 Music all broadcast live from the Exhibition. Plus, BBC Look North and BBC Newcastle featured lots of coverage throughout the summer. Content from the Great Exhibition of the North reached more than 15 million people in the UK via the BBC. Great Exhibition of the North is supported by Premier Partners LNER, Accenture and CISCO. Funding was also secured via Innovate UK, VisitEngland, Royal Commission for the Exhibition 1851, the Sir James Knott Trust and Reece Foundation and by the European Regional Development Fund as part of the European Structural and Investment Funds Growth Programme 2014-2020. National Lottery players have supported the Great Exhibition of the North through £1.7m of funding from the Heritage Lottery Fund; Big Lottery Fund and Arts Council England. Womble Bond Dickinson, Ward Hadaway, Siemens, Port of Tyne, Virgin Money, BT, Robertson and NewSubstance are proud partners of Great Exhibition of the North. Newcastle Airport, Greggs plc, Go North East, Tyne & Wear Metro and Northumbrian Water, Shout Digital, Stagecoach, PwC, Barbour Foundation, Northern Powergrid, HMS Calliope and Ubisoft are supporting partners.